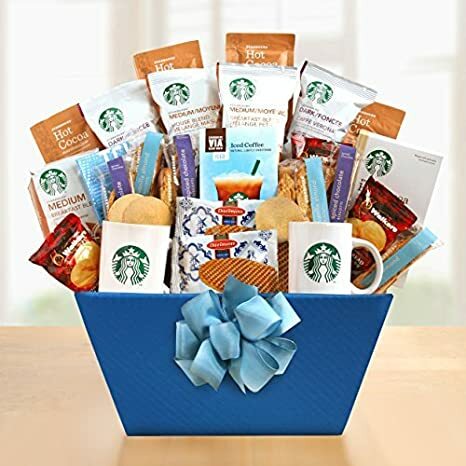 What would be appropriate gifts for the Starbucks lover? 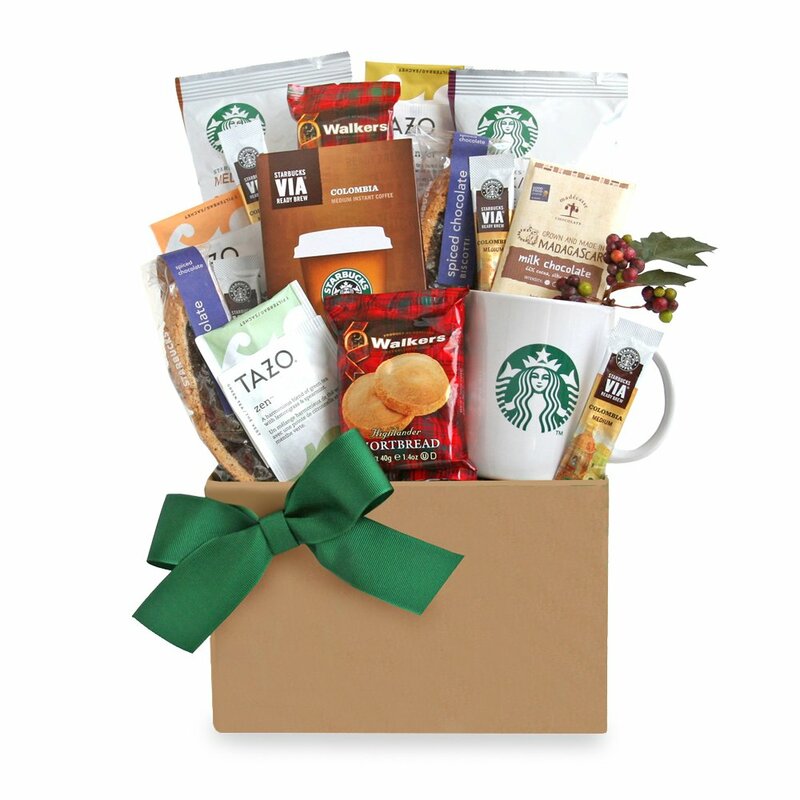 When it comes to Starbucks, you can find a nice variety of gifts. All of which fit nicely into the scheme of a true coffee lover, eh Starbucks enthusiast. 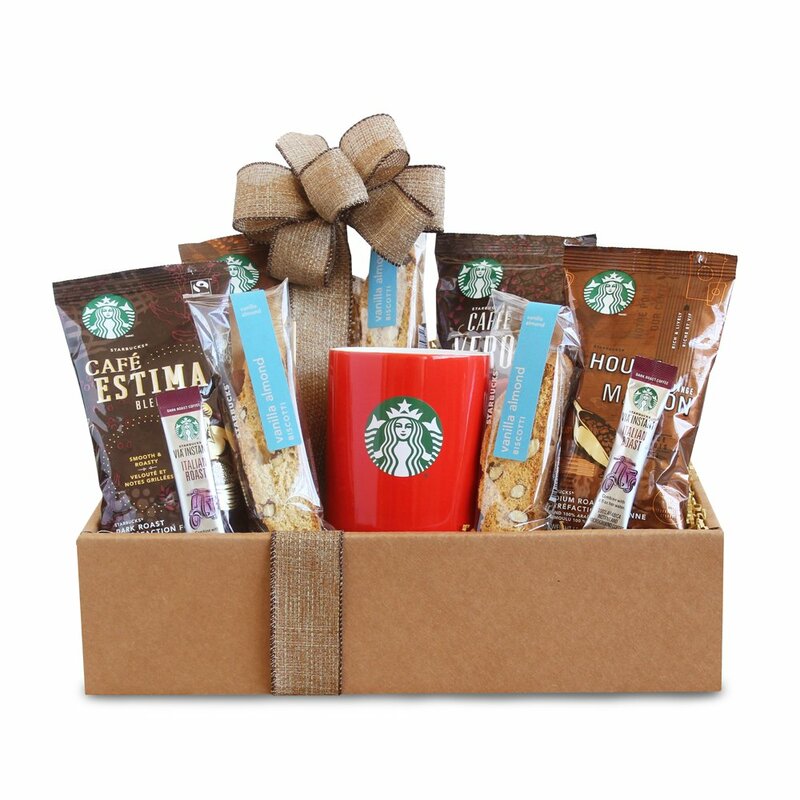 To make things easier, here is a nice selection of gift boxes, complete with many lovely things that a Starbucks crazy person will love. 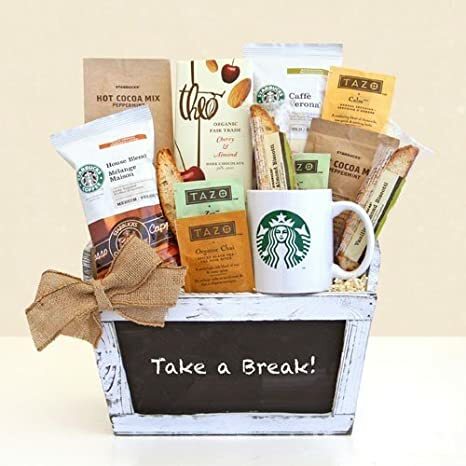 Now is the time for any Starbucks lover to take out a special moment during a busy day to relax while enjoying their favorite coffee (and tea) along with some goodies to snack on. The following gift boxes will sure be a hit for birthdays, anniversaries, promotions, Christmas or as a sweet new neighbors gift. I hope you will find the best gift for the Starbucks lover in your life! The showcased gift boxes/baskets are listed from the largest to the smallest, for every budget! 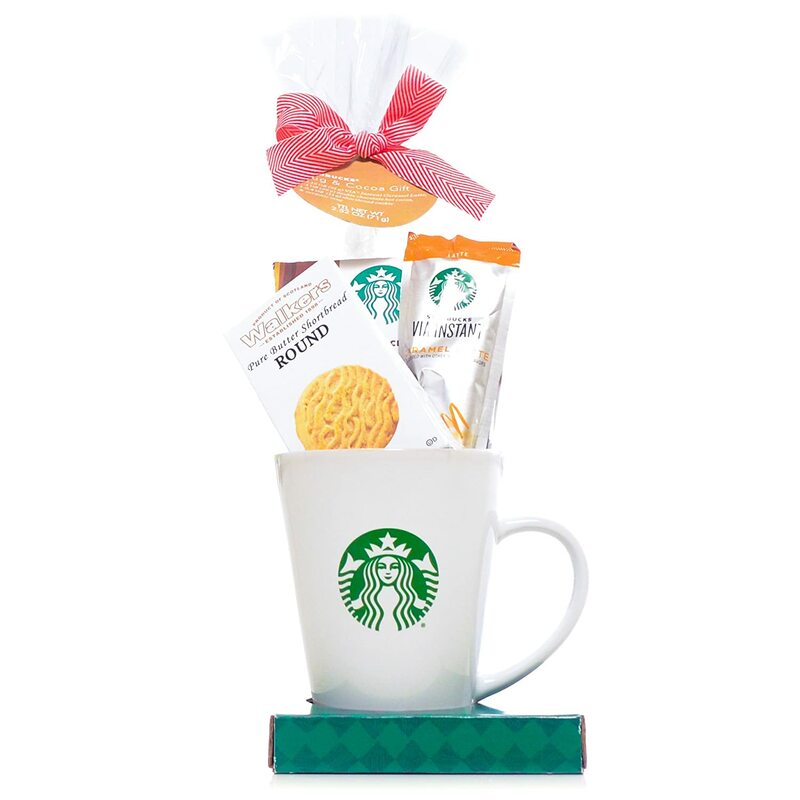 If you are unsure which gift basket to get, how about a Starbucks gift card? You can really never go wrong with gift cards as the recipient can choose and pick what they like.